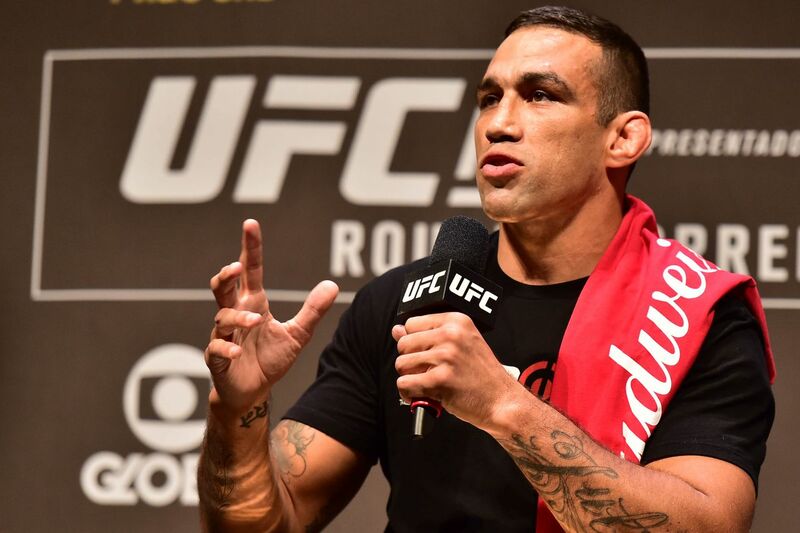 Werdum unleashes on dos Santos with a crude Facebook challenge, calling ‘Cigano’ all sorts of names. With everyone busy trying to get their piece of the $4 billion pie following the UFC sale, fights just aren’t coming together like they used to. Things are particularly bad in the promotion’s heavyweight division, where even the few fights that come together keep falling apart. After Junior dos Santos lost his UFC Fight Night: Halifax opponent Stefan Struve to injury, he tried to get a fight with Fabricio Werdum, who had also just missed a payday following Cain Velasquez’s latest pull out. Unfortunately for us, it doesn’t sound like a proper cage fight between the two is any closer to realization. Werdum still wants a title shot for the match-up, and he seems to be hoping the interim-happy UFC might throw him a fake belt if negotiations with Stipe Miocic take a bad turn. Anything is possible in this mysterious world the new WME-IMG owners have plunged us into, but I doubt the more serious fans amongst us are excited about the prospect of yet another interim belt floating around, even if it gives us a great fight like Fabricio Werdum versus Junior Dos Santos. For all the news on upcoming UFC events, click here.